How’s it going? Today I’m going to take it easy and do some yoga. 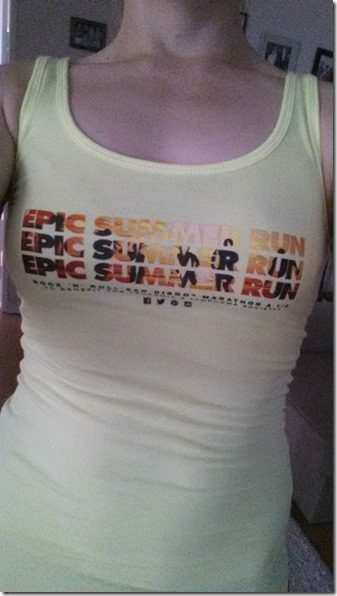 So, I’m not sporting running gear, but I am sporting my “Epic Summer Run” tee. The theme of Rock N’ Roll San Diego Half Marathon / Full Marathon is Epic Summer Run – because that’s what it totally is. Hello, San Diego is awesome. Hello, running is too. 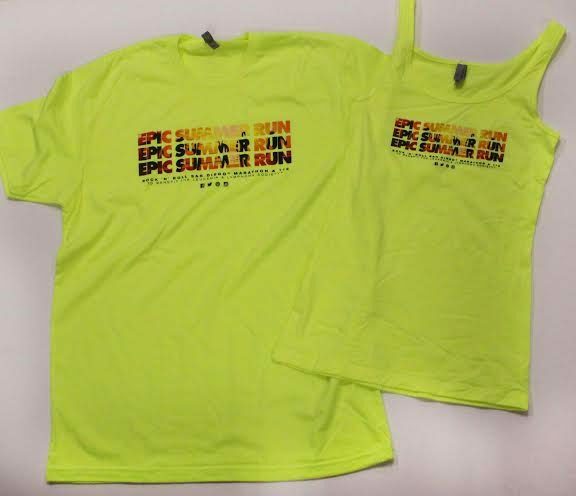 And if you want an Epic Summer Run Tee – you can win one here. The nice people at RnR San Diego are giving away one male tee (large) and two female tanks (M & L) to three lucky RER readers. To enter: Leave a comment with what you’d want. Disclaimer: Competitor group is providing these tees. All opinions are my own. Open to anyone on Earth. If someone outside the US wins I’ll ship it to you. Ooh I’d be loving the Large Tank! Keep on running. Would love the win the large tank – so cute! Medium tank please…pretty please with cherries on top! I’m new to running and this shirt will push me to keep moving. Thank you! Size large tee, love the color! medium! i’d love to wear it to my half in portland, me this summer! Another night of insomnia….so, I attempt some reading to hopefully fall back asleep. Big mistake visiting my favorite redheaded Mexican blogger. Now I’m wide awake with excitement: Must. Have. Large. Tank. Please. Thank you for the opportunity! I would love the large tank! It’s so great!!!! I love how easy your giveaways are to enter! I would want the Large Tank! Such a cute design. I would like the large Tee. I signed up recently; this is my first email. And I’m eligible for a giveaway. Sweet. The women’s large tank I want. M- tank would be awesome!! Tank L Please! I would sport that puppy on my runs!! I would so LOVE the Medium Tank! Large Tank! Super cute, wish I lived in CALI. Thinking about running this race. M – tank for me! Thanks! I’d love the M tank PLEEEEAAAASSEE! Tank m would be great! Tank, M! Love the yellow! Medium tank! Thanks for the runspiration as always. I would LOVE to win this **Giveaway* for this “Epic Summer Run” design and would especially like the Size M Tank-Top! Woohoo!! Size M tank for me!! I’m sure the race is absolutely beautiful! M tank. It would be great for this summer! M tank! pick me pick me! I’d love the medium tank! a medium tank would be awesome! looks great for summer running! Medium tank for sure! Pick me pick me! Girl you have a lot of people who follow you! Medium tank. Thanks. Large Tank, please! I always need more running tanks in the summer. Tank – L please! 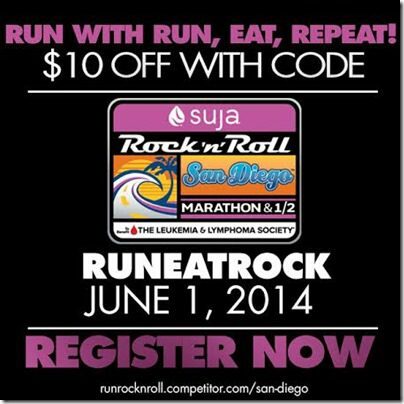 My first marathon was the San Diego Rock n Roll one, way back in 2005! T-shirt Large, please & thank you! I’d LOVE a L Tank!!! 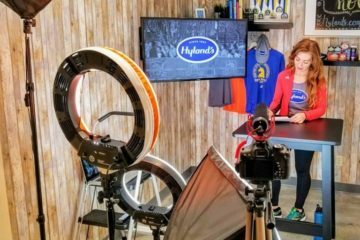 I would also love to run that half, but I’ll be recovering from the Portland RnR and preparing for the Dirty Half in Bend the following weekend (and then RnR Seattle – what the heck was I thinking?). You look mahvelous in the tank by the way! I would love the female tank in large! It’s so cute! M female tank please- I’ll wear it to run the Liverpool RnR!! Men’s large T, please… & thanks!! M female tank – I’ll wear it to run the Liverpool RnR! Tank – L would be awesome!!! Large tank, please. Would be great to wear after the half! Thanks for the giveaway Monica! I love the Medium Tank please! I love those shirts!!! Large tank please! Oh my goodness what a great theme! M Tank, please and thank you! Tank-M… My wife would love it!!! This redhead would like a cute medium tank!! I would love the women’s M tank! I’m not planning on running the RNR San Diego, but I am doing the RNR St. Louis half in October! Tank – M! Woot! Woot! 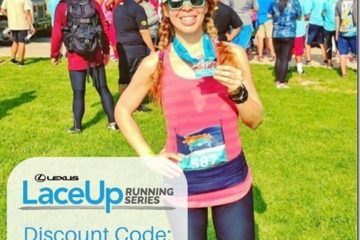 I super wish I could make it to run San Diego. But I think of every summer run in FL as epic, since even a couple miles in this humidity will knock you out. So… a tank in medium would be great! I’d love to win either of the tanks! M – Tank would be lovely. Please and thanks! Love that shirt! Tank M! Tank – M… epic summer, exactly what I need to hear when waking to freezing rain on the first day of Spring!!! I’d want a size M tank! Med tank would be nice 🙂 love the color! women’s tank in M please! Medium tank sounds awesome for a Texas summer. We know how to do hot summer runs. Plan your route based on yards with sprinklers. Pretty sure I’d fit into either of those tanks just fine. What a motivating logo this year! Tank Medium please!!!! 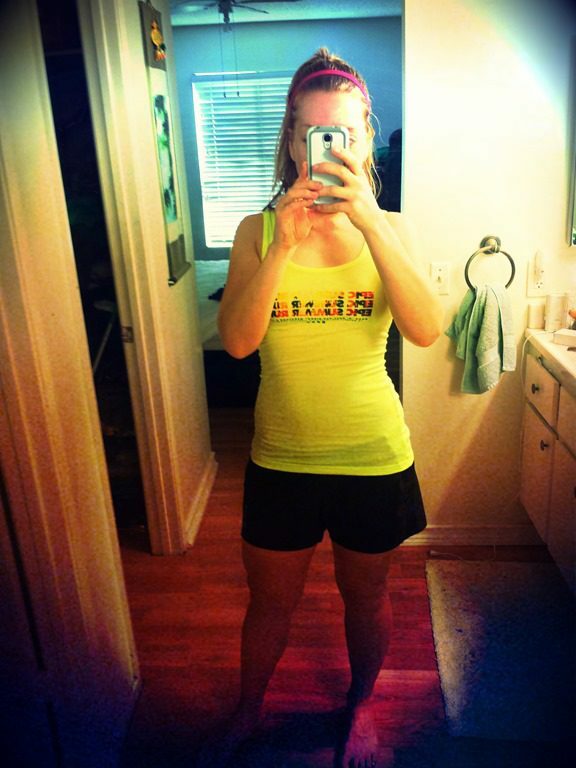 Love me a good bright tank for road running to be seen!!!! tank M-can’t wait for it to be actually warm enough to wear it! Medium woman’s tank pretty please! Would love to do the race this year! Large women’s tank! COOL COLORS! I am enjoying your blog all the way from South Africa!!! I want an M tank! Medium tank! Perfect for summer! The large please. I am an XL right now and what a great motivator to drop some lbs before summer time! That tank is sweeeeet!!! Agree.. San Diego is for me the most beautiful place in the world!! Those shirts are awesome! A M tank would be a nice motivation goft for my sister who’s getting into running again! L Tank! Those are awesome! First open to the world giveaway i’ve seen… yay! T-shirt in L please! I love San Diego! Tank Large! Such a cool idea! Wish the weather was warm here in Virginia, it would be so much easier to find motivation for running! M shirt! It’ll be the closest I get to running in SD for a long while! That tank is so cute, and it looks great on you! I wish it were tank weather here!! Cool tank, I’d take it in a L! I am pregnant and would love a tank top! I think I’ll go with large and hope it fits over my belly 🙂 Thanks for the giveaway! Medium tank! Gets me pumped for Summer! I’m pretty sure I could rock (-n-roll) that medium T-shirt! So, yeah, medium, T-shirt please. Did I say medium, I meant large T-shirt. Must get coffee NOW. Dunkin Donuts, here I come…. Women’s large tank! I’m assuming it will eventually get warm enough in the NE to wear it. San Diego in June sounds awesome. I’d love the tank in large! I’d LOVE to wear that medium tank around this summer! very fun! love the tank in a medium! M tank. Love that theme, like why has no one done that before? So rad. I’d love to run San Diego.. such a nice city and haven’t been there in ages. No way I can cross the Atlantic AND run a half all within a few days. Tank M… if possible to get an XS/S that would be ideal.